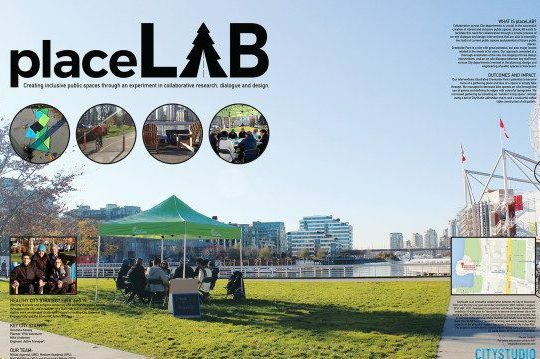 placeLAB is an innovative experiment in placemaking that builds upon the “integrated design process” and examines the needs of a space to accommodate people wanting to gather in it and those who need to move through it. Through a process of on­site research, dialogue and temporary design interventions, we were able to identify the challenges in current public spaces, and inspire the potential of future public places. Creekside Park is a site with potential, but also issues related to the needs of its users. 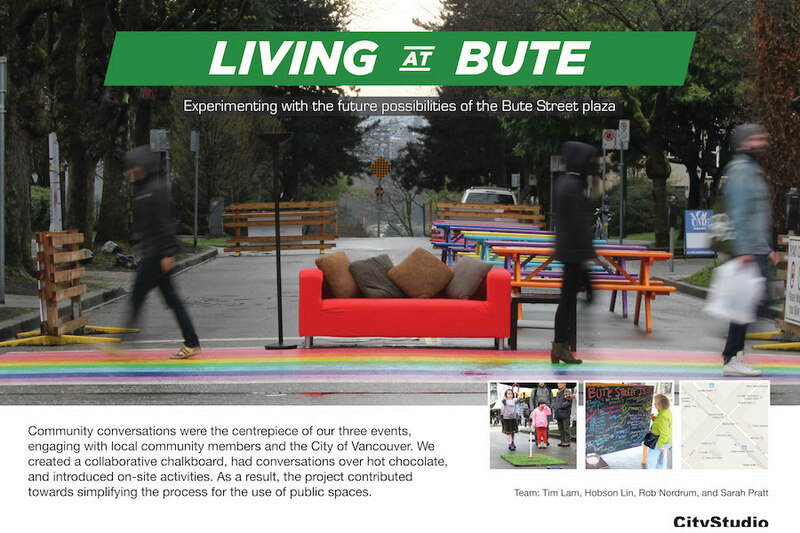 We conducted a thorough evaluation of the site, staged three design interventions, and hosted an on­site dialogue between key City staff from various departments involved in the planning, design and engineering of public spaces in Vancouver. Our interventions illustrated the potential of Creekside Park to become more of a gathering place and less of a space to simply walk or bike through. We decreased bike speeds and increased gathering by placing pylons where the bike lane meets the pedestrian crosswalk and defining the space with colourful tangrams. 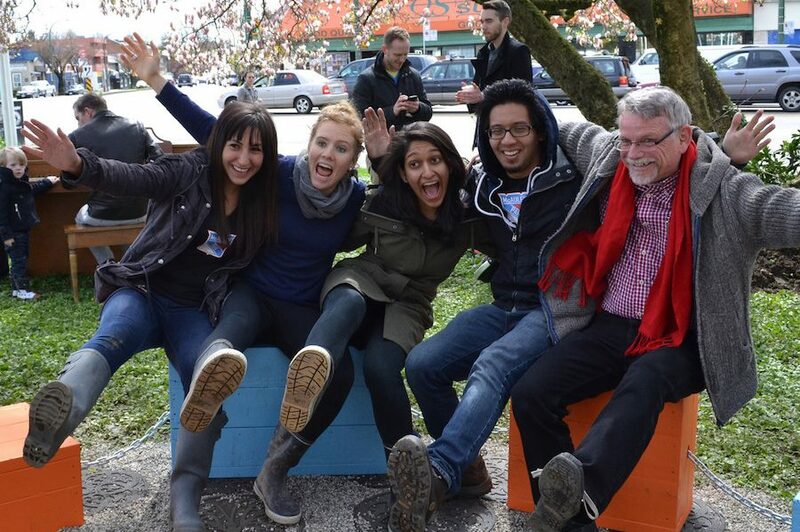 We also installed an “outdoor living space” using CityStudio’s Adirondack chairs and a colorful coffee table constructed with up­cycled pallets. We believe that the placeLAB method of collaborative dialogue and design can impact the revitalization of existing spaces and enhance the planning and design process behind future public places in the city.